For the past three years, I have been participating in Food Revolution Day. A day of global action created by Jamie Oliver and the Jamie Oliver Food Foundation. It's a day to engage and inspire people of all ages to learn about the food they eat and how to prepare it. This is something that is very important to me. I believe people would be much healthier, and be able to eat cheaper if they learned to cook. So thank you, Mardi @Eat.Live.Travel.Write., for another year of sending out this message. Our goal is to get people to start cooking, learn the basics and join Jamie’s revolution. The theme is #FeedtheFuture, and our CooktheBookFridays group is joining the revolution. It's all about learning skills and techniques that will give you the confidence and knowledge to cook and serve healthy meals throughout your life. Cook the Book Fridays is taking on the challenge with a French recipe that all cooks should know. We are making Quiche! It's from David Lebovitz's cookbook, "My Paris Kitchen". Quiche has saved my entertaining life more than once. It was one of the first things I learned to prepare after I was married. Many moons ago! In the beginning, I really didn't do so well with making a pastry crust. Funny thing is, my mom was the best crust maker ever. She tried to teach me, but for some reason, I just couldn't master it. Flaky, buttery pie crusts were never going to happen for me. Don't judge me...but I used to buy pre-made Pillsbury. I know! Then one day, I decided I was not going to let the pie Gods win. And once I did it...that was it! Once you master pastry crust, the sky's the limit. Think of all the pies, quiches, and galettes you can bake. 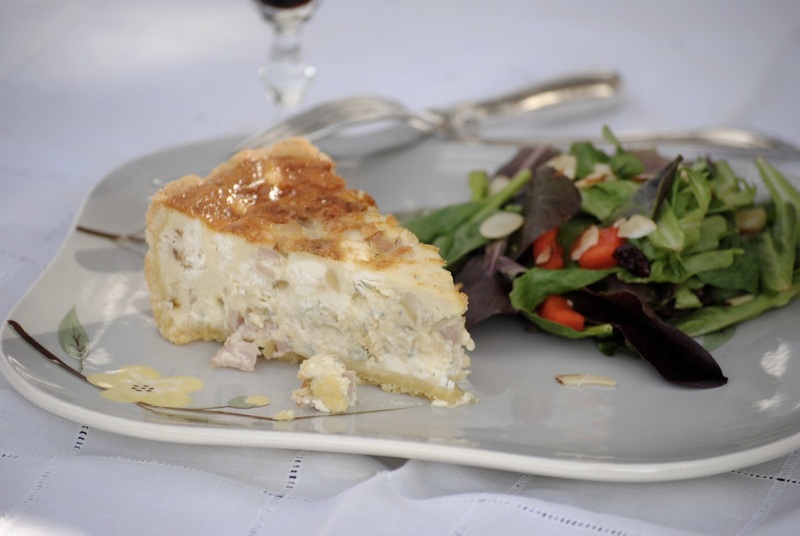 The pastry crust that David has included with this Quiche is easy and flavorful. It's a mixture of cornmeal and flour. The texture is lovely. We are crazy about Quiche in my house. It's a perfect meal for a hot summers day, served with a side salad. It's also wonderful for brunch because it can be made ahead of time. Quiche has always been part of my repertoire. For simple dinners and lunches, or for a special occasion celebration. It makes entertaining easy! I served this gorgeous quiche a few weeks ago when my sister-in-law and brother-in-law were visiting. I made the crust the night before and rolled it out in the morning. The quiche was a little more involved, sautéing shallots, then mixing them with the chopped pear and ham. Blend the cream cheese, cream, nutmeg, eggs and egg yolks until smooth. Stir in the blue cheese, and the pear and ham mixture. Fill the springform pan and bake. This recipe is seriously delicious! It was a big hit with my company and the one who didn’t like blue cheese, loved it! Happy Food Revolution Day! To see what the other bloggers in our group thought of this recipe, check it out here. This recipe can be found in David's new cookbook, "My Paris Kitchen". 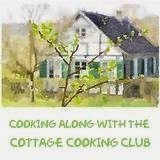 If you'd like to join us in cooking along, pick up a copy and visit CooktheBookFridays. David has shared this wonderful recipe with Tastebook. You can find it here, I have also shared it below. In a large bowl, blend together the cream, cream cheese, a few gratings of nutmeg, the eggs, and the yolks until smooth. Stir in the blue cheese, the pear and ham mixture, and the parsley. Set the springform pan on a rimmed baking sheet and pour in the filling, using a spoon to make sure the ingredients in the filling are evenly distributed. 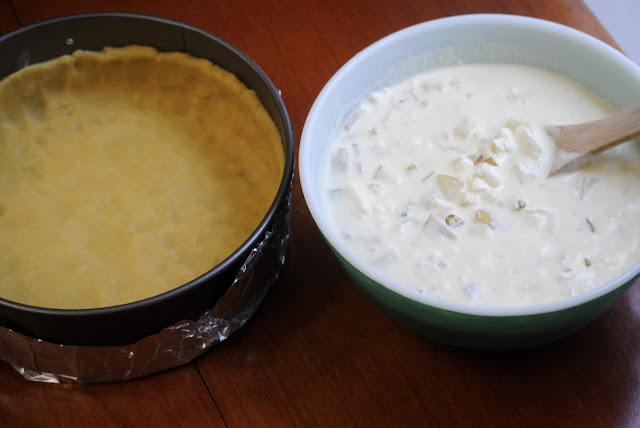 Bake the tart for 45 to 50 minutes, until the top is lightly browned, the filling still jiggles, and a toothpick inserted into the center comes out clean. Let cool until firm enough to slice, then serve warm or at room temperature. For bacon-lovers, substitute 1 cup (125g) cooked diced bacon for the ham. For a vegetarian version, leave out the ham. You can also add to taste whatever fresh herbs appeal to you, such as chervil, thyme, tarragon, dill, or marjoram. What a wonderful post, Kathy. You zoned in on everything Food Revolution Day was designed to publicize. Even the part about using Pillsbury's pre-made pie crust. Who among us can say they've never done that. In a pinch......... As food gets more expensive, the economic factor is beginning to outweigh many other reasons for learning how to cook, don't you think? Although the primary reason is because it's a healthier way to eat, the cost is a major factor also. Everyone in my family can now pick up a whisk and spatula and make magic happen in the kitchen. Since Melissa opened up her own business two years ago, that's a very good thing and has meant "survival" for the Place family. I also really enjoyed this quiche. This looks so inviting with that beautiful golden crust and topping. And the combo of flavour is unbeatable. The golden brown color of the filling looks spectacular. I am drawn to the just-out-of-the-oven shot. Who wouldn't love this quiche? I definitely think this crust was amazingly flakey and delicious. I am glad you conquered your pie crust challenges... the real thing is always so much better! I've seldom met a quiche I didn't like, but this one was amazing, wasn't it? I love the way you beat your pie demon. So worth it! What kind will you make next? We are crazy over quiche too! 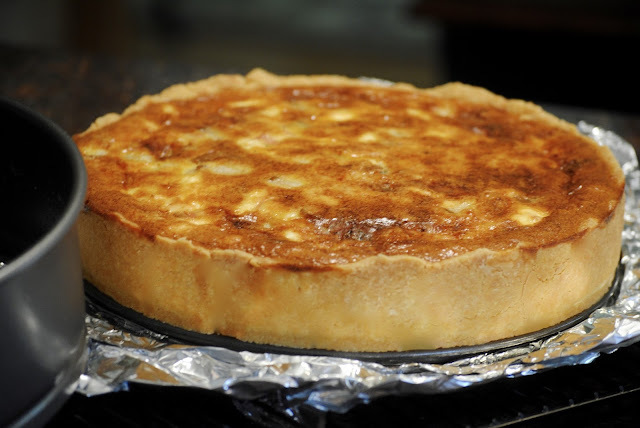 Your quiche looks amazing, so golden brown and perfectly baked! What a lovely post! 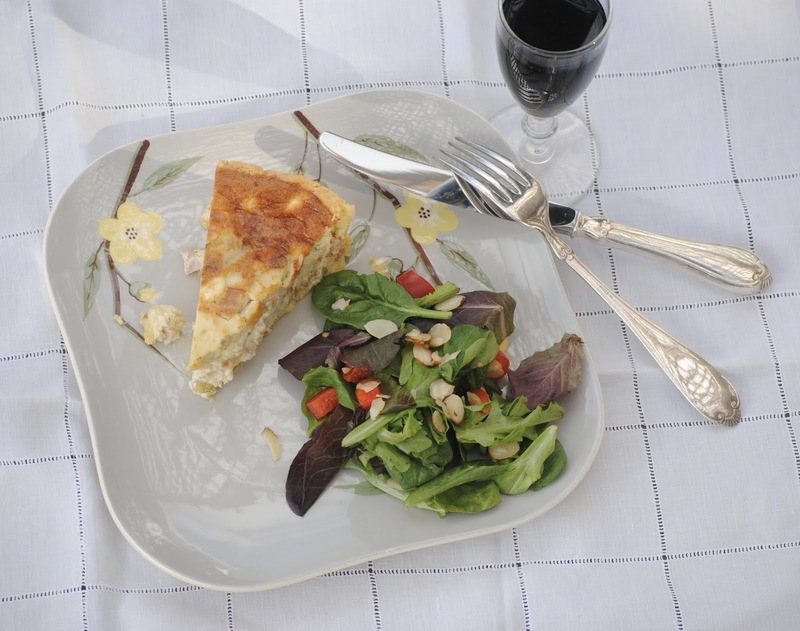 Your quiche looks just amazing - beautiful setting too! I agree with your post. In my family, we were all required to learn to cook - I have 4 older brothers!! And this was back in the midwest (to be fair, in Jr High - all boys and girls had to take shop, home ec, art and gym - so not so backwards - I really wish they'd bring that back). We always gather around food, and especially the making of it. I was entrusted with teaching my two nieces who lived closest to me with their cooking education - their mom didn't love to cook, but loved food and knew it was important. I still like the idea of "love people, cook them tasty food" - with a nod to Penzeys! Again, beautiful quiche, and so happy you enjoyed it. Your quiche looks fabulous. Blue cheese and pear are lovely together. I thought of meeting you at The Smith last night - we went to an Italian restaurant and I ordered the soft shell crab salad - delish. I so enjoyed meeting you and Tim. And remember the soft shelled crab you ordered. I’ll be in the city soon…maybe it’s time to revisit the Smith. It is hard to imagine you having to resort to store bought crust! Your quiche looks marvelous. I loved the flavour combination in this one - the blue cheese mellowed out beautifully against the pear and ham. Cooking is such a big part of self-sufficiency, isn't it? Yes--loved your post, Kathy. The quiche looks fabulous and I love how quiche saved your you-know-what for entertaining. It really is such a great back-pocket kind of technique/recipe to have and I agree with Mary up there in that who hasn't used a pre-made crust. Sometimes, we just go the super-easy/not-as-tasty route. :) Finally, your lunch looks so elegant and tasty!! Wonderful post! The crust was amazing and all in all - this quiche was easy to put together. I've missed "stopping by" your site for a visit. It IS hard to imagine you using pre-made crust but a few years ago I was there too. This is TOTALLY what the Food Revolution is all about! Thanks for letting me know about the broken link. I think it's working now. And I see that my comment didn't stick here. I wanted to say Congrats on becoming a pastry crust maker! They can be a little intimidating (lots that can go wrong), but it looks like you've got it down. 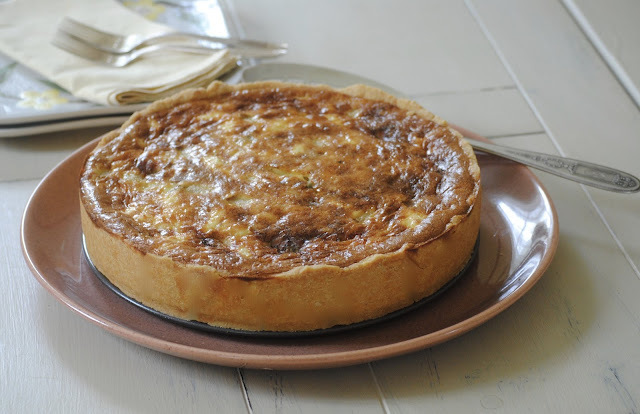 I especially like this crust recipe for quiche as you don't need to blind bake it first and it still turns out browned and crisp, Your just out of the oven quiche looks mouthwatering! 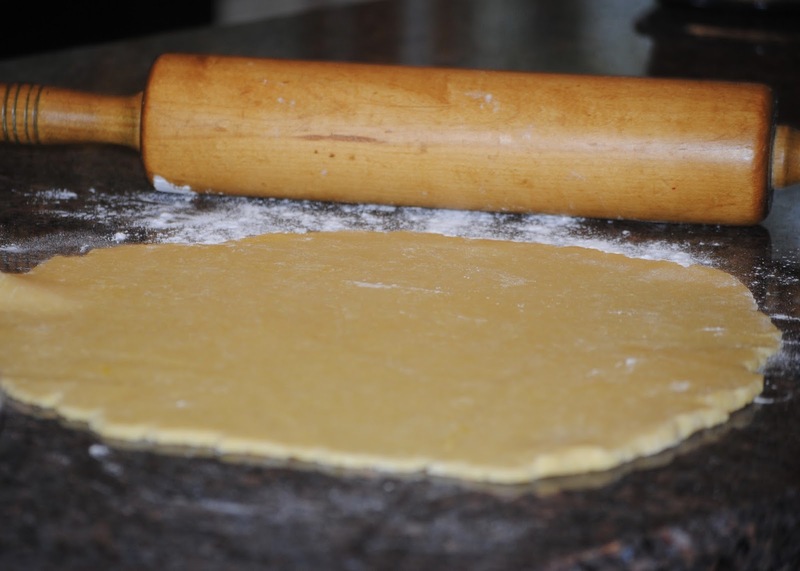 To clarify…I have been making homemade pastry crust for more or less 35 years. The time I talk about in this post, was when I was first married and trying my hand at pie and quiche making. It was a long time ago and thankfully I became proficient and never looked back. Sorry I was not clear. I love that you were determined to conquere the pastry crust! I really need to add quiche to my repertoire more often. This one was a winner! How wonderful that you tried the crust. It looks perfect! Hi Kathy...Hope you had a safe and enjoyable Memorial Day weekend. Gee, it went by quick! I must say though, the ingredients in this quiche are quite intriguing. I haven't made quiche in years but I sure am tempted now. Yours looks delicious!